"The Dorf" is a very large band that plays monthly at the jazz club Domicil in Dortmund, Germany. The orchestra is led by Jan Klare who writes the music for the band. Since November 2006 between 15-25 musicians, out of a pool of about 30 players, come together to rehearse, eat and play a concert in the evening. It is sort of a loose, but still collective thing and it's very exciting. 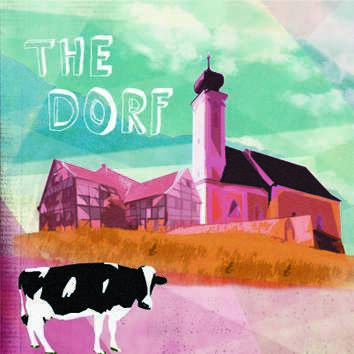 "THE DORF IS HEAVY, RAW AND A LOT OF FUN." An additional track which is almost 16 minutes long contains a (mpg) video of a life performance that can be watched on computer.